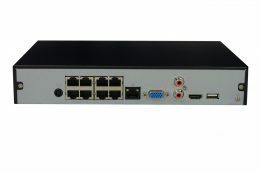 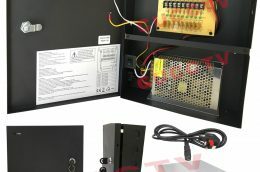 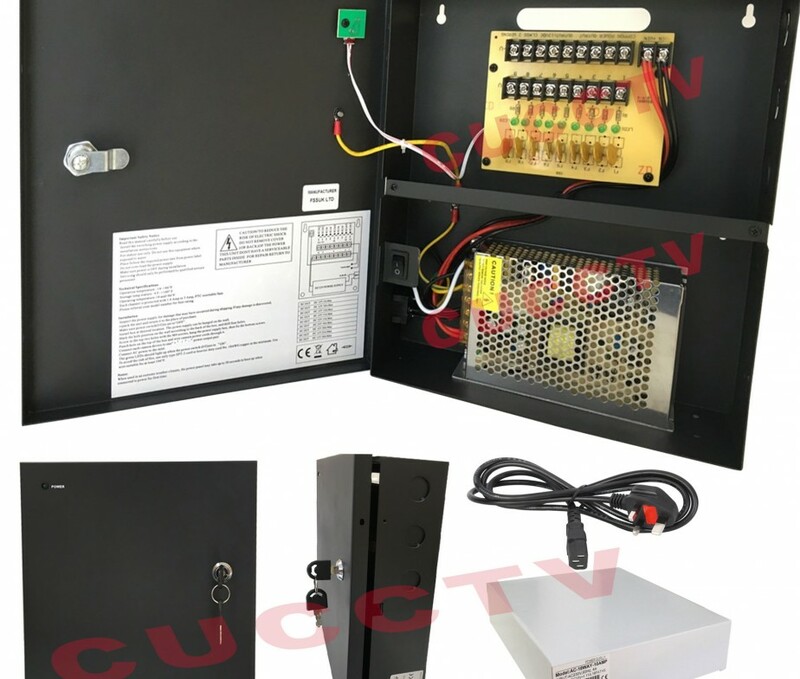 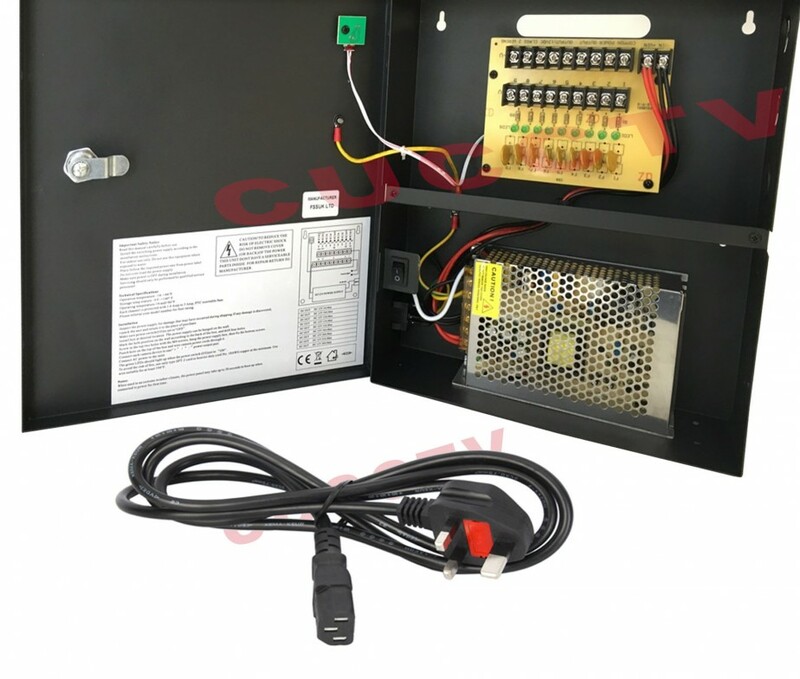 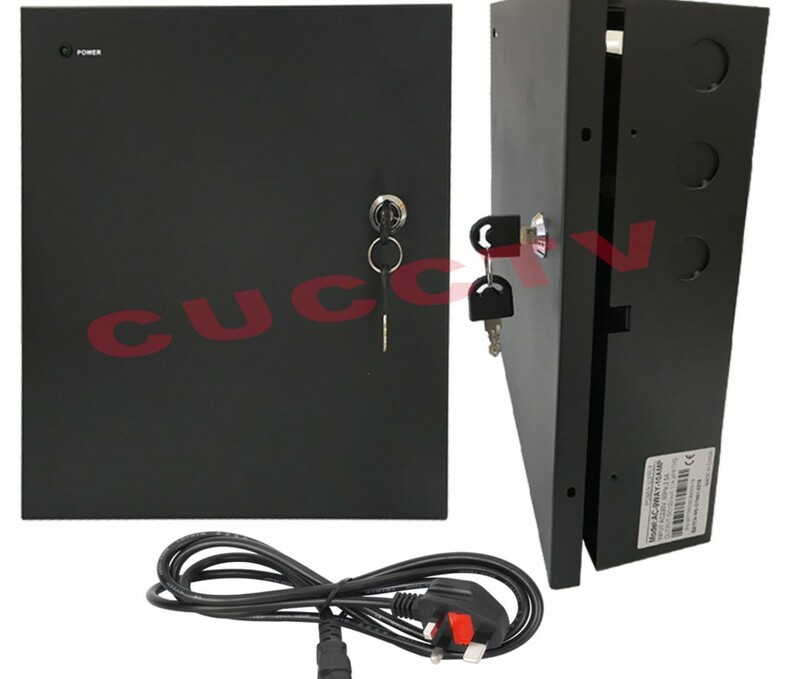 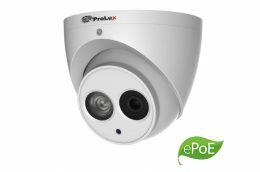 A professional wall mounted CCTV Boxed Power supply. 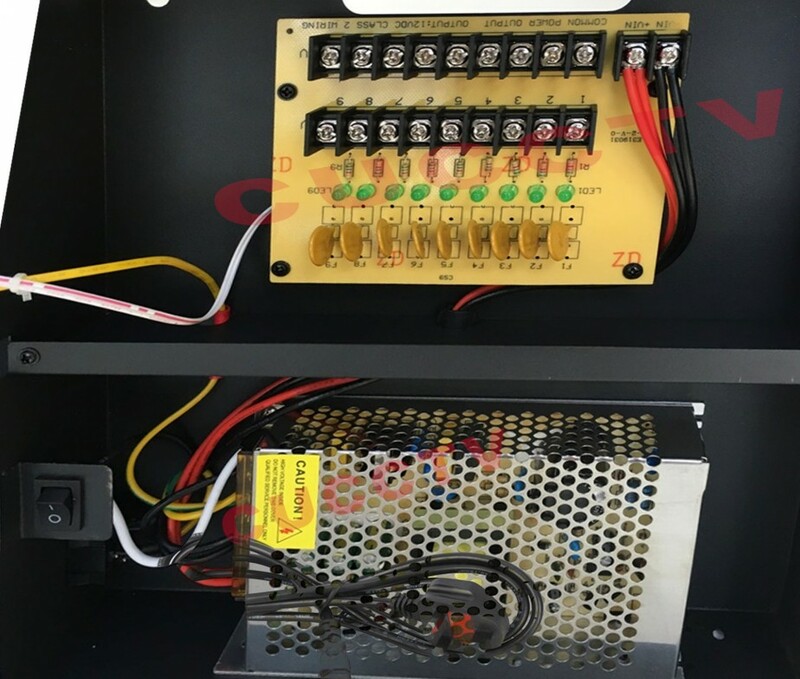 We are offering the installer/user up to 9 outputs of 0.55A MAX PTC fuses and provide the user with a very stable. 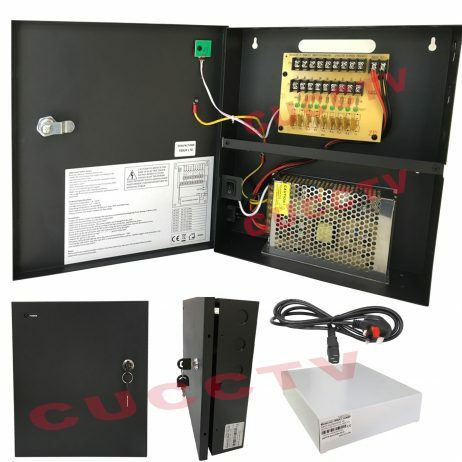 its fully regulated 12Volt DC supply complete with surge protected outputs.